Property 1: Charming villa with PRIVATE POOL, blossoming garden and sea & Etna views. Santa Tecla Di Acireale: House with garden, private pool, private garden. Property 17: Santa Tecla Di Acireale: House with garden, private pool, private garden. Aprisa Apartment, independent apartment in villa, on the slopes of Etna. Property 28: Aprisa Apartment, independent apartment in villa, on the slopes of Etna. 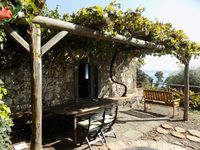 Villa Masì, the nature between Etna and the sea ..
Property 30: Villa Masì, the nature between Etna and the sea ..
Property 33: Private holiday home 500 meters from the sea. What a wonderful respite here with sweet Alessandra and her charming family. This cottage is the most cozy and comfortable place in Sicilia. The views are fantastic. We loved it! 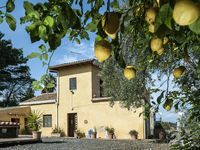 The location right at the sea, surrounded by lemon trees and only really one neighboring Home is unbeatable! Privacy at its best! The home itself is rustic, older and could use some updates here and there, however it was equipped well with towels and kitchen supplies. We loved the outdoors. The terrace is so nice! The beach is rocky as the pictures show. We enjoyed our stay, and want to give a big thanks to Rosario who helped us find the place ( not easy!!) and showed us around.